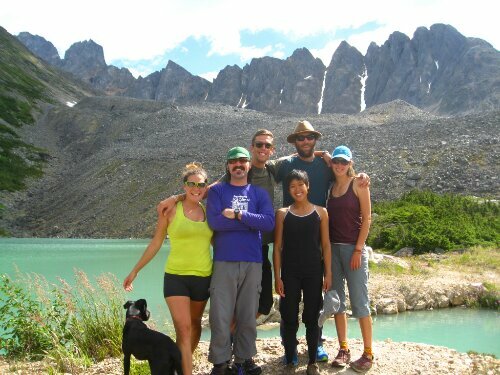 Dallas and I decided to extend our stay in Skagway by two weeks, so we could run in the Klondike Road Relay, take advantage of an extra pay period, and of course spend a little more time with the wonderful friends we made while living there. Working as a bike guide could be terrifying at times – trusting cruise ship vacationers to navigate themselves down the White Pass on mountain bikes may be less physically demanding, but is much more stressful than pulling people around in a pedicab. If I work as a bike guide again, I hope the clientele are limited to experienced cyclists who are physically and mentally prepared to do multi-day bicycle touring. Still, this job was a worthwhile and enjoyable experience. I have never lived with such close access to trails where I could lose myself in nature so easily. Just a 5 minute walk from home could take me to the Dewey Lake trail system, where there are miles of hiking trails. 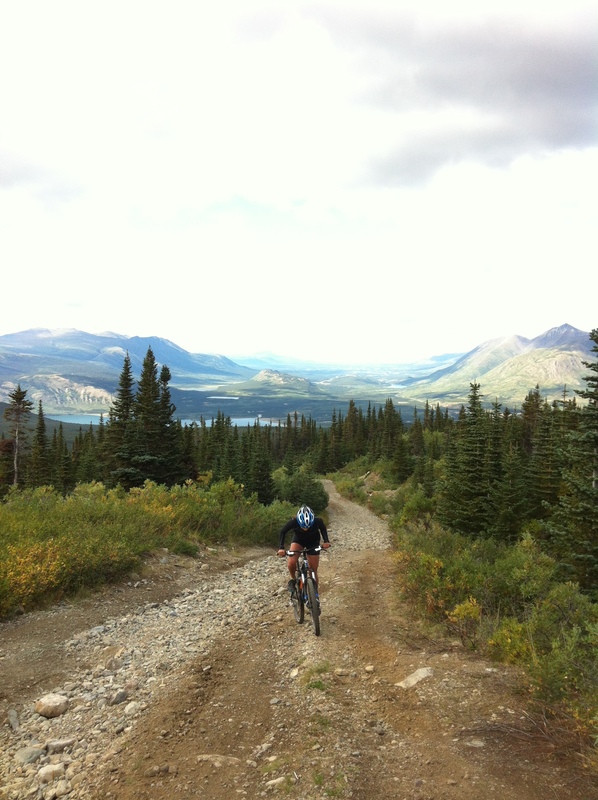 We were also just a 65 mile drive (or bike ride) from Carcross, in the Yukon, where it is always sunny and there are numerous mountain biking trails on Montana Mountain. From what we were able to forage locally, we made things like dandelion salad, fireweed syrup, blueberry crisp, cranberry-poppy seed muffins, rose water (which I used to make baklava), and cottonwood oil/salve. 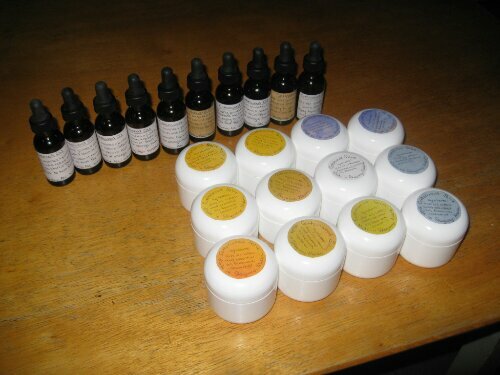 I only wish I could have finished bottling the cottonwood oil and salve before the last farmer’s market. Cottonwood oil has medicinal properties and can be used as an anti-inflammatory, analgesic, and anti-microbial. As a massage oil, it can be used to ease sore muscles or joints, and it can also be used to heal chapped or scraped skin. If anyone would like to buy one, I will send you a 1oz bottle of oil for $12 or 2oz jar of salve for $15 – just e-mail me or leave a comment on this post. Looking back at our time in Skagway, both of us are very glad that we decided to spend our summer there. We were able to make great new friends, occupy our free time with a variety of outdoor activities including hiking, running and mountain biking, and we learned so much about the environment and history of the area. Hopefully our friendships will continue far beyond this summer, and we will be able to carry what we learned to whatever awaits us in our next adventure. 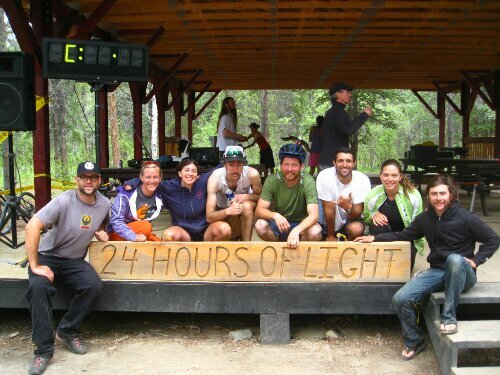 Posted on 12 September 2013, in Alaska, Races, The space between and tagged Alaska, cottonwood, cycling, mountain biking, Skagway, trails. Bookmark the permalink. Leave a comment.